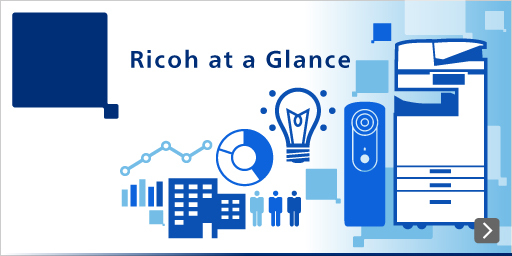 Mr. Zenji Miura, CFO of Ricoh Company, Ltd., explained FY2013 3Q results using materials below. Q1. When the Yen becomes cheaper even than now, will you increase the ratio of domestic production? Q2. How did you manage to achieve solid growth in Europe for FY2012/Q3 in spite of a weak economic environment? Q3. Are there any changes in your operating income target of 150 billion yen for FY2014/3 in mid-term plan? Q4. Was operating income for FY2012/Q3 slightly below the plan? A1. We do not base our decisions regarding production on exchange rate alone. We have no intention of changing our policy where we produce according to customer preferences and sales volume in each region. A2. Our direct sales were able to propose solutions to customers’ specific needs and issues including cost reduction. A3. We are still working out details for next fiscal year plan. We will announce the final target at the financial announcement for this fiscal year. A4. We fell short of the sales plan so that operating income was below the target.